2018-11-08 - Jefferson Co., KY - Photo by Pen. Some birds require a careful and patient approach for photography. Some, like many a Canada Goose, can become indifferent to humans. 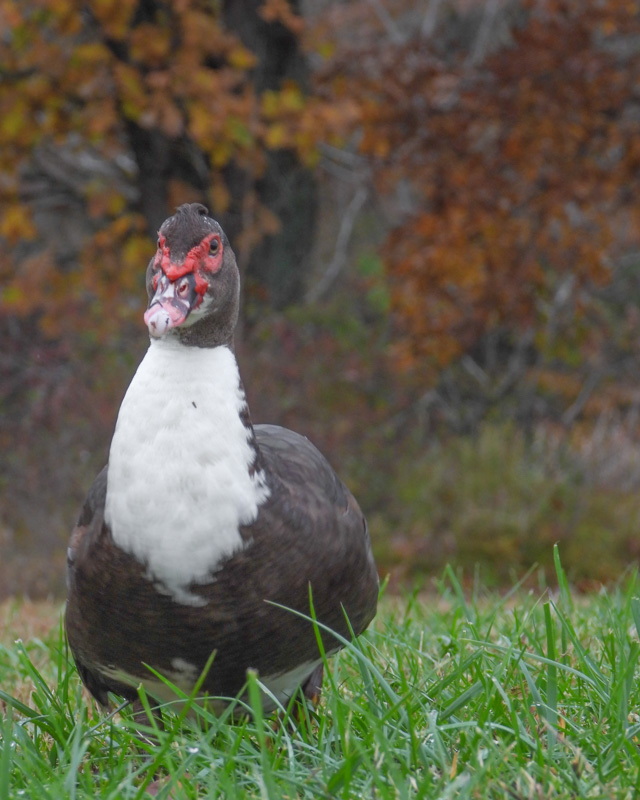 And some, like this Muscovy Duck in Long Run Park, will walk right up and forcefully demand crackers.